RNIT: Where's the hype for Android tablets? Where's the hype for Android tablets? The tablet revolution is in full effect. In 2011 the tablet market has boomed, both in terms of quality and quantity. Apple kicked it off with the iPad 2 release, which provided a number of improvements over the original iPad. Dozens of others followed, mostly of the Android tablet variety. Even BlackBerry got into the game. Amazon is the latest entrant, and it appears theirs will provide the first serious challenge to the iPad. That development in itself raises a question about the tablet market. The great, great majority of tablets released this year run Android. That makes enough sense. Android is a royalty free operating system, meaning manufacturers can cut costs by porting it to their devices. Why, then, do few Android tablets get any hype? Here are a few good reasons why the latest Android tablets haven't received nearly the hype they're worth. While the Android brand is a relatively strong one, it mainly exists for Android smartphones. That is, Android was conceived as a smartphone operating system, and has grown in that regard. But it hasn't ever been recognized as anything else, because it has never been anything else. When people hear Android they think smartphone. While that's fine and good for that market -- and Android is really starting to dominate in the mobile space -- it hasn't yet seeped over into tablets. Now look at Apple and Amazon. They both have recognizable brands that extend far beyond smartphones. Yes, Apple took the market by storm with the iPhone, but before that they were known for many things. There was Apple Computer, the Mac brand, and of course the iPod. Combine those with the iPhone, and Apple has a reputation as a company that changes the game. The iPad's success was an inevitability. The same goes for Amazon. Why is the Kindle Fire getting so much attention? Because Amazon has a well-established brand. It's one thing if they were just the world's largest online retailer. To their credit, their Kindle line of e-readers certainly helped their reputation. People love the Kindle -- I use mine despite having a Kindle app on every device I own -- and the Kindle Fire promises to take that experience to the next level. Android, though? At this point, all people expect is an oversized smartphone. Put this way, it's easy to see why the hype just hasn't been there yet. It's an unfortunate fact of the tech world: Apple controls the timing. That is, when Apple announces something or releases a product, they have center stage. This comes from both their fanboys and their detractors. Everyone wants to see what Apple will say next. All eyes were on them this spring when they announced the iPad 2 in February and then released it in March. That made it a bad time for anyone else to release a tablet. Yet at the same time two other competitive tablets hit the market. Research In Motion had its BlackBerry PlayBook ready for a spring release, but due to various issues they couldn't get it out before the iPad (even though they announced it the previous September). While many things doomed the PlayBook, the timing of its release ranked highly. Why would anyone choose the PlayBook, which was priced in line with the iPad? 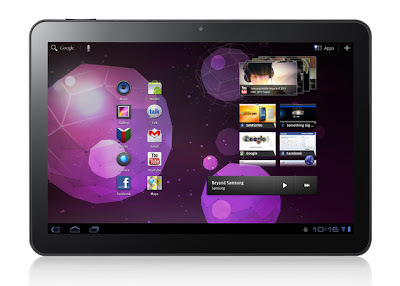 At the same time, Motorola released the Xoom. There had been Android tablets previously, but they had mostly flopped. The Xoom looked like the first truly high-end Android tablet. But it again suffered from timing issues. Released around the same time as the iPad, and at a similar price point, it was doomed from Day 1. This is actually one reason why we might see Android tablets gain some more hype. Apple won't release another tablet until next year, which clears the holiday season for Android entrants. On the horizon is a tablet from a company that certainly has some brand recognition. The Samsung Galaxy Tab should make some waves this fall -- no less because of its patent battles with Apple. The timing is right and there's a brand. There's just one more element it needs to succeed. We've yet to see an Android tablet properly marketed. That could be for a number of reasons, including the fact that there might be no good way to market an Android tablet right now. But, again, that could all change as we head into the holiday season and get more Android tablets on the market. The one disadvantage Android has here is that the product is not the marketing in the same way that the iPad and the Kindle Fire are. Apple has always taken this approach. In all of their commercials they simply show the product and show it performing certain tasks. It's that simple. The marketing for the iPad is the iPad. Same goes for the Kindle Fire. Amazon has already established a reputation with the Kindle, so people know what it's about. They just have to show it doing stuff, and it's instant marketing. Unfortunately, Android tabs do not have this luxury. Can Samsung figure out optimal marketing for the Galaxy Tab? Maybe their litigation with Apple is some marketing in itself. But for now, with the lack of a reputation for Android tablets, they'll have to figure out some angle that will entice buyers. Perhaps after a successful run they can enjoy the same marketing luxury that Apple and Amazon enjoy. Joe Pawlikowski is the editor of BBGeeks, a site that helps BlackBerry users get the most out of their devices.